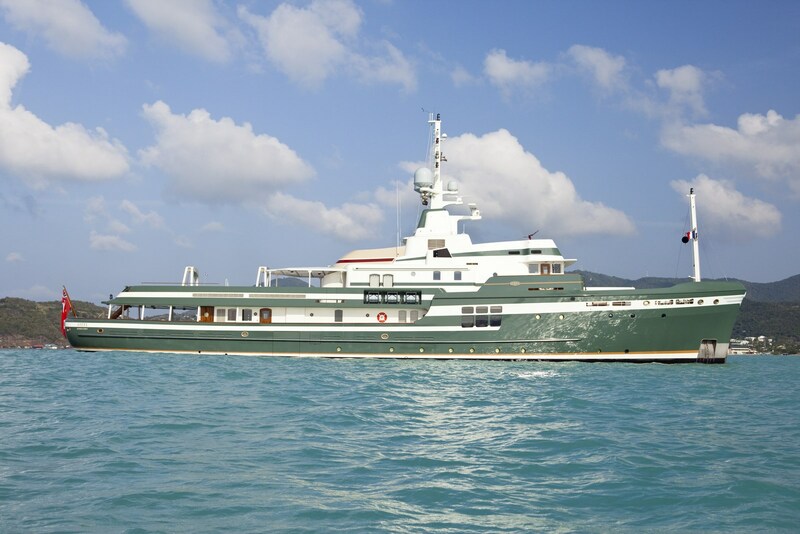 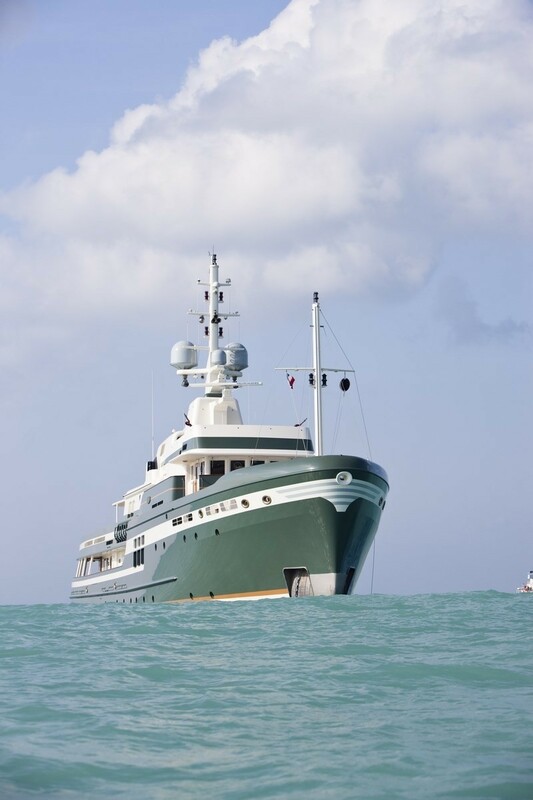 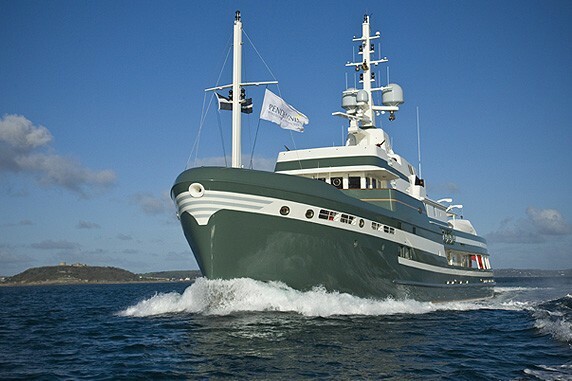 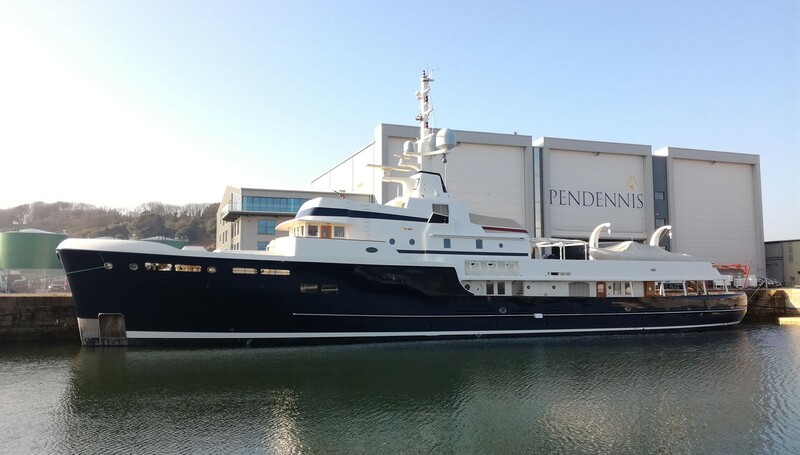 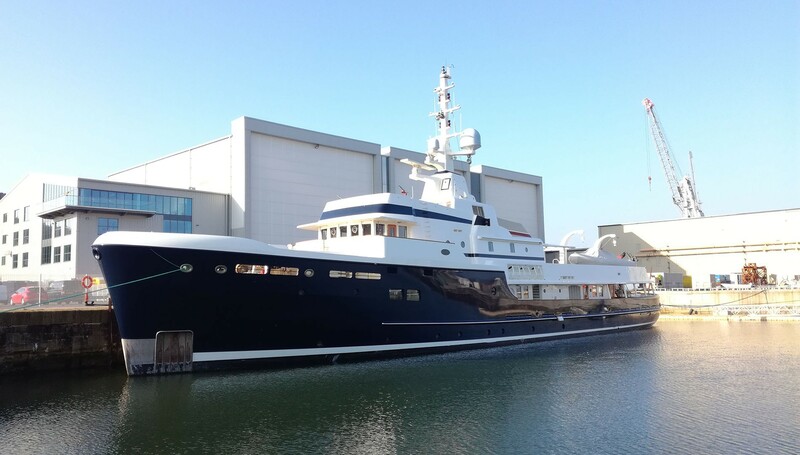 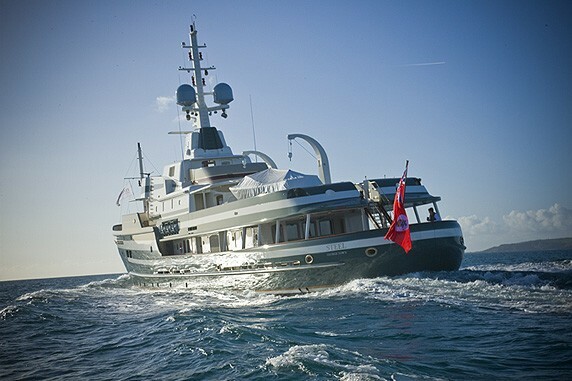 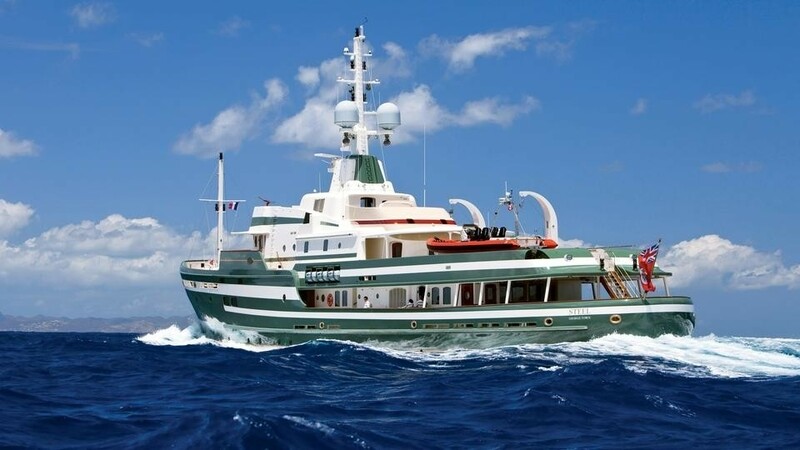 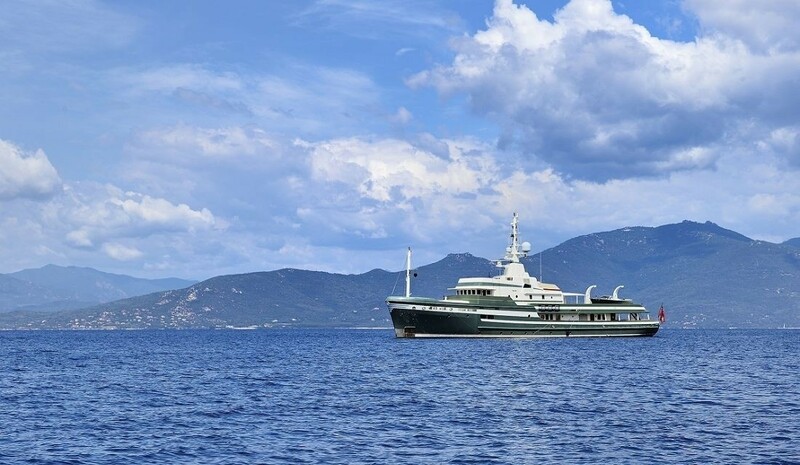 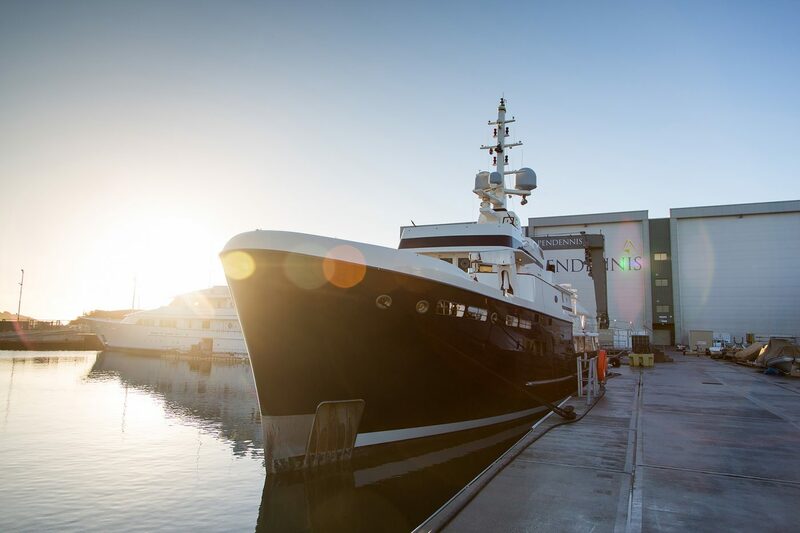 STEEL is a 54.9m (180'1") expedition yacht that was built in 2009 by Pendennis and refitted in 2017. 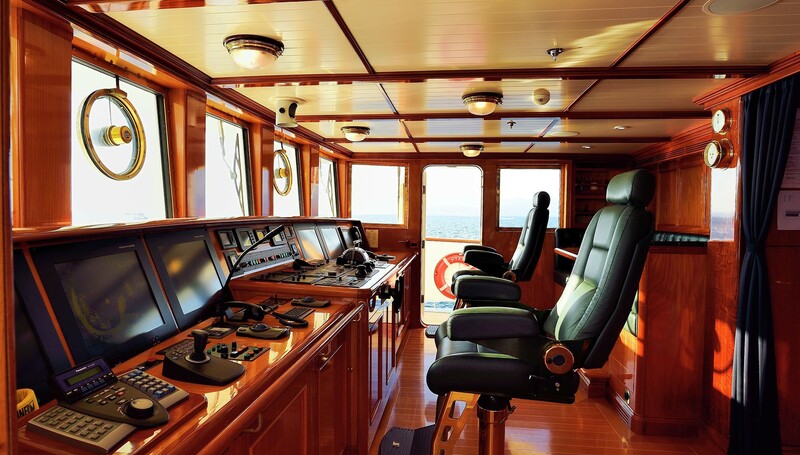 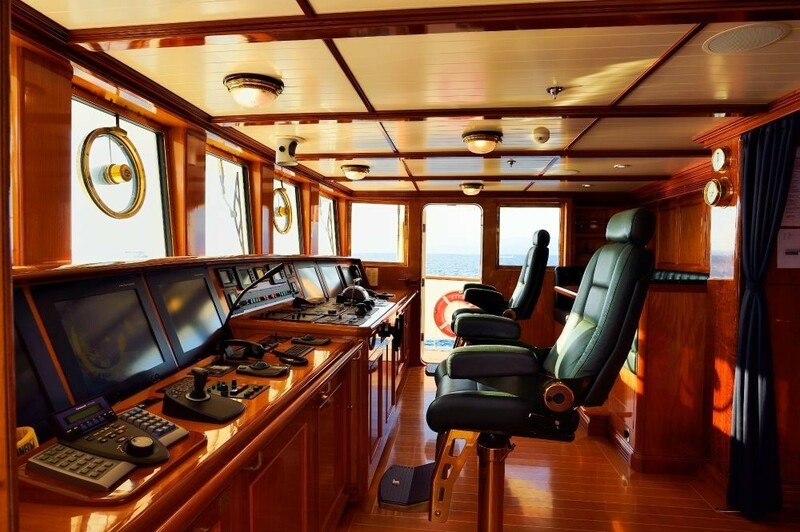 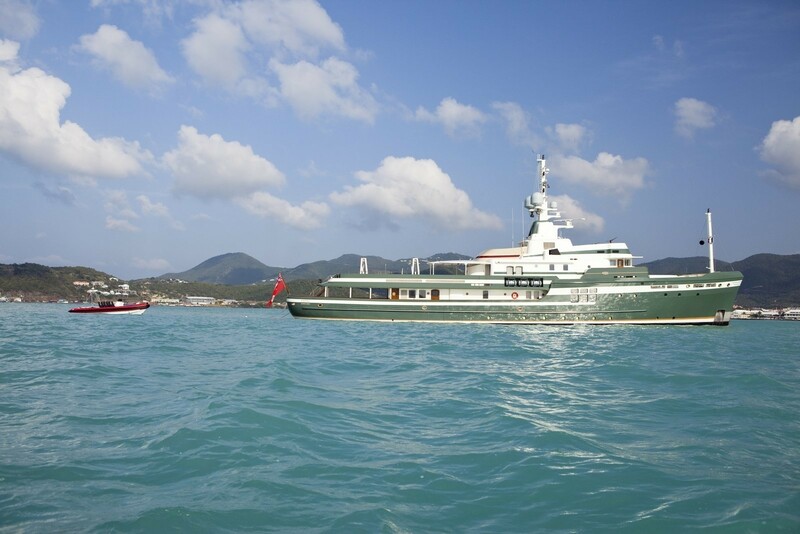 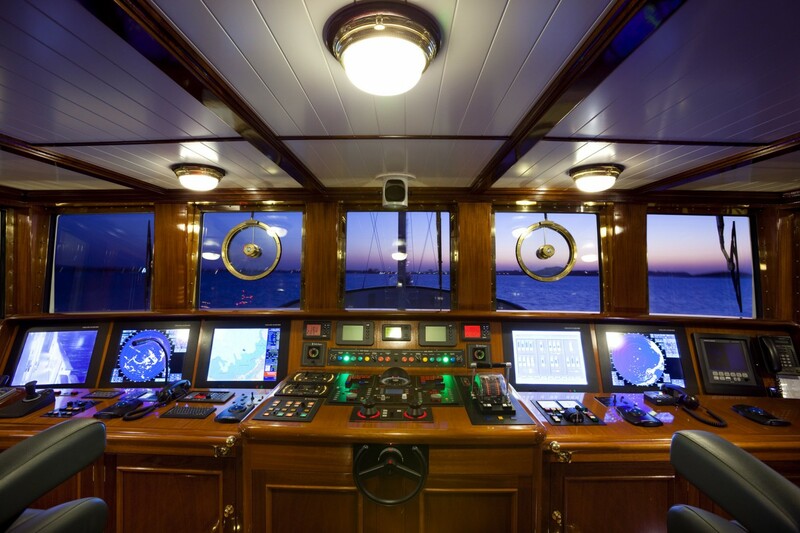 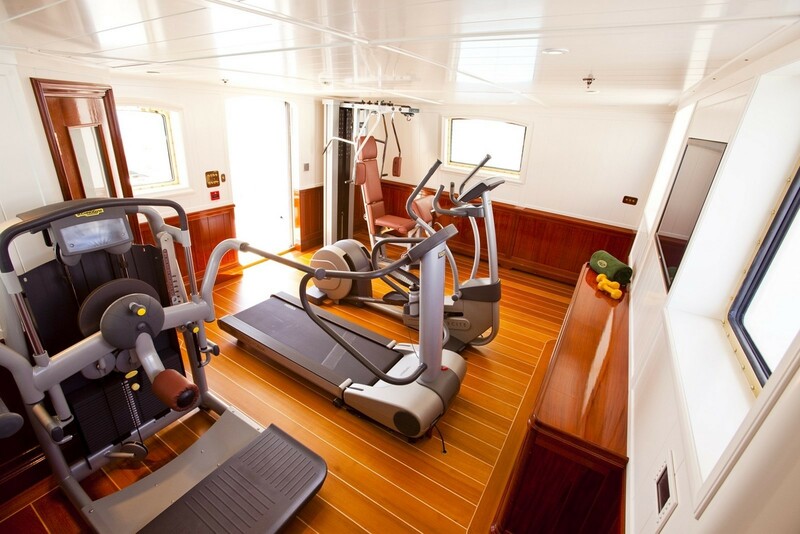 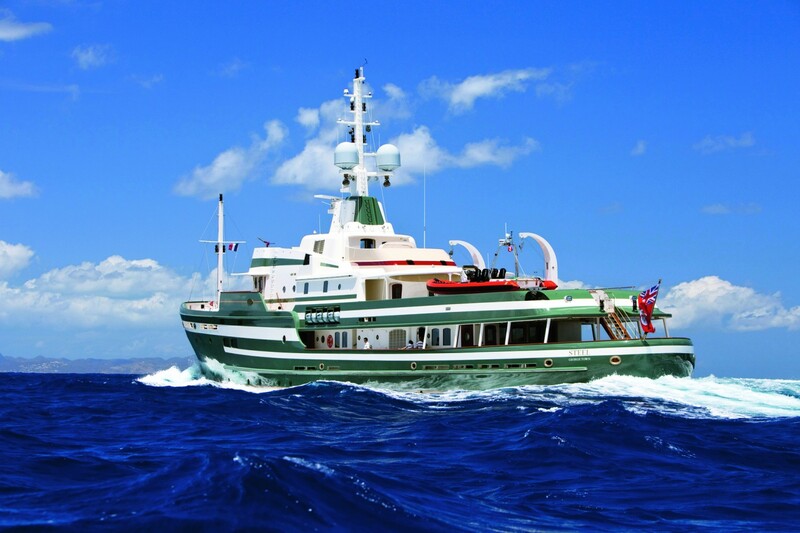 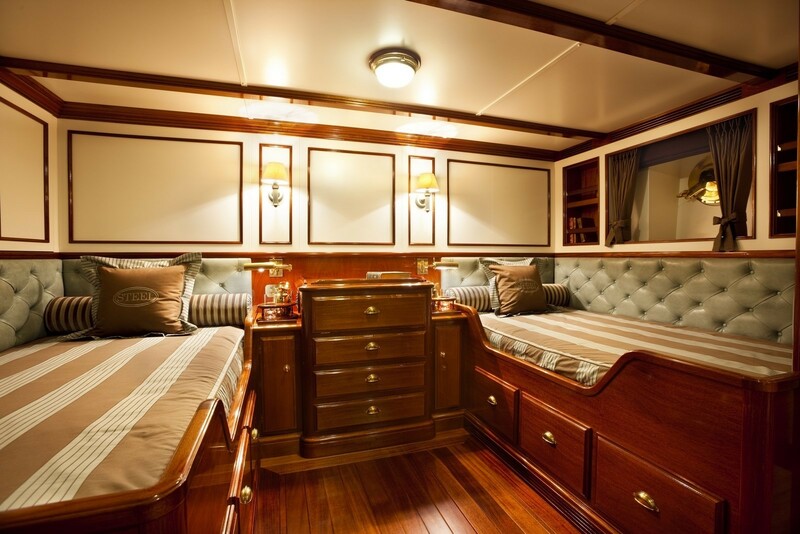 She accommodates up to 12 guests in 6 comfortable cabins. 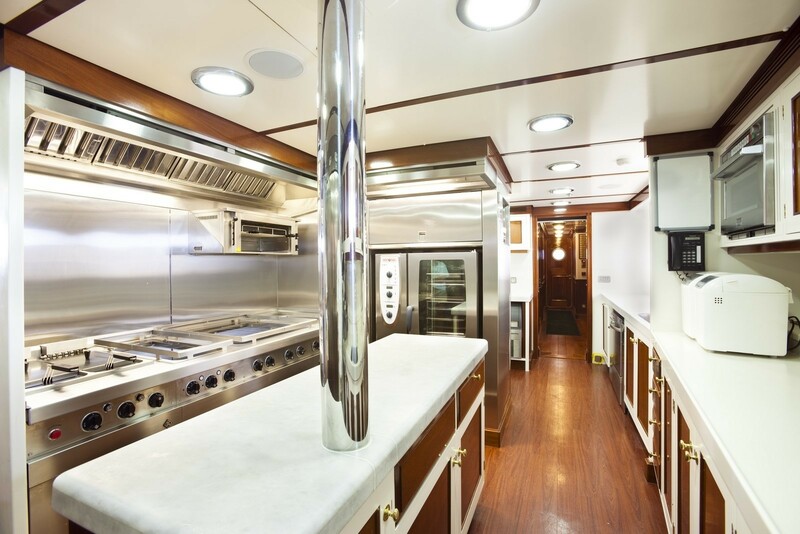 STEEL is an elegant vessel both inside and out. 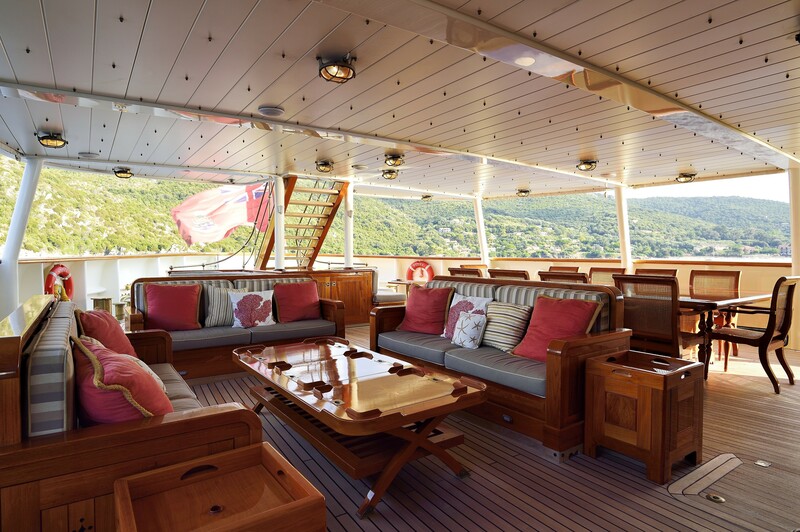 Her stunning lines are the result of a collaboration between the Yacht owner, Pendennis and Liebowitz & Pritchard Architecture and design UK. 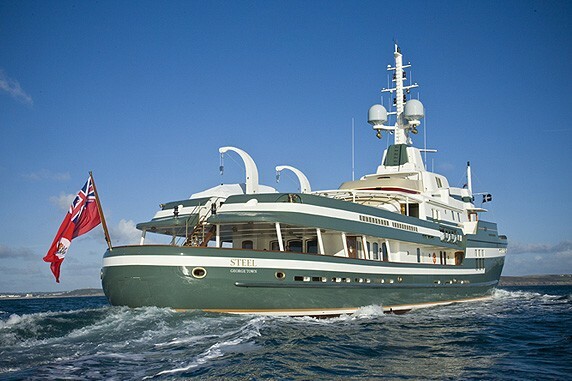 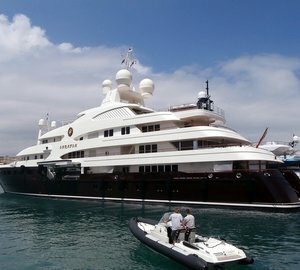 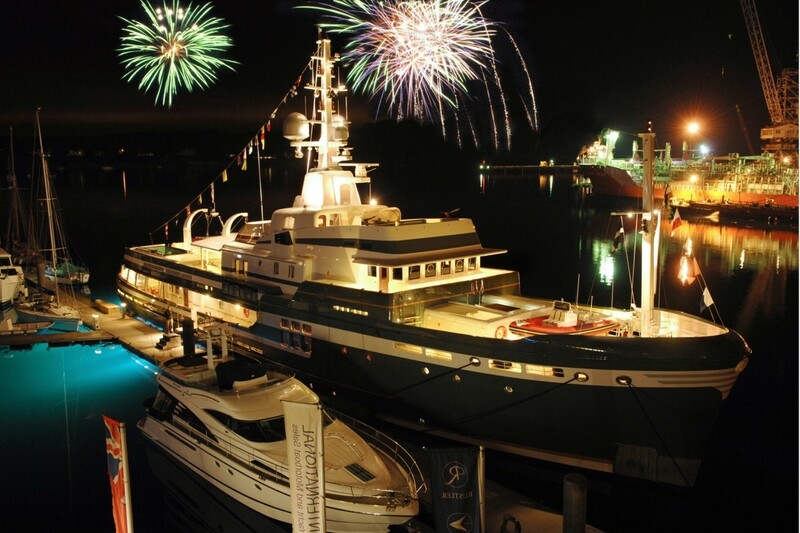 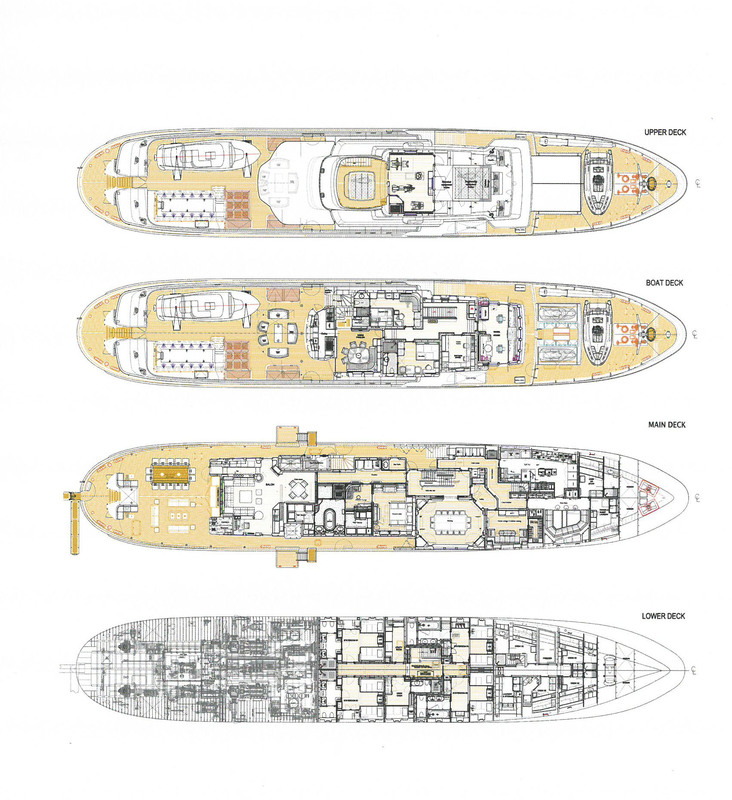 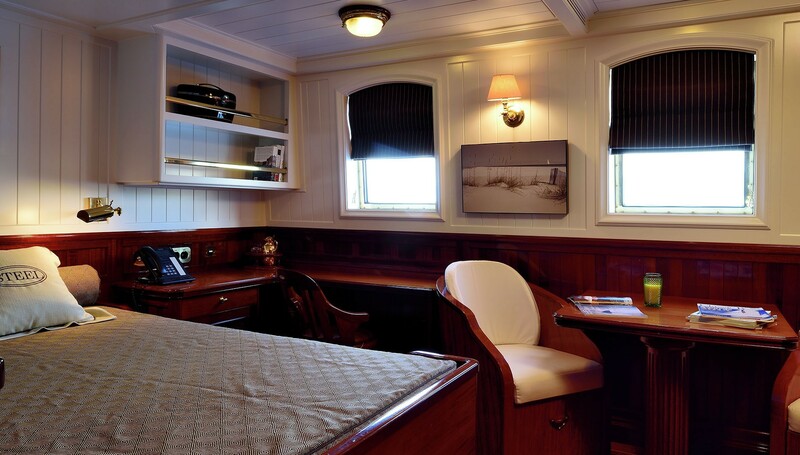 Her naval architecture was completed by Burness Corlett & Partners in Southampton. 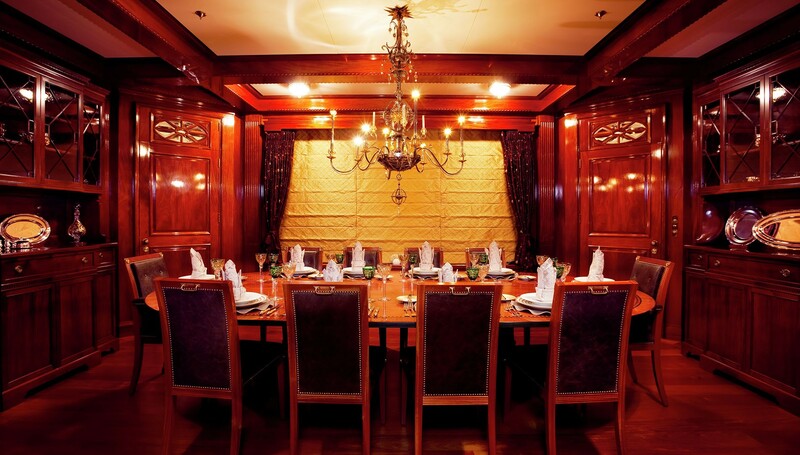 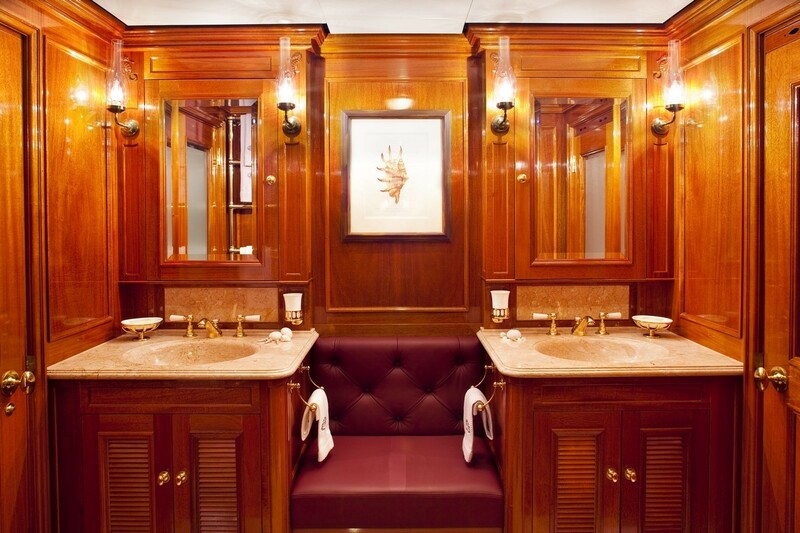 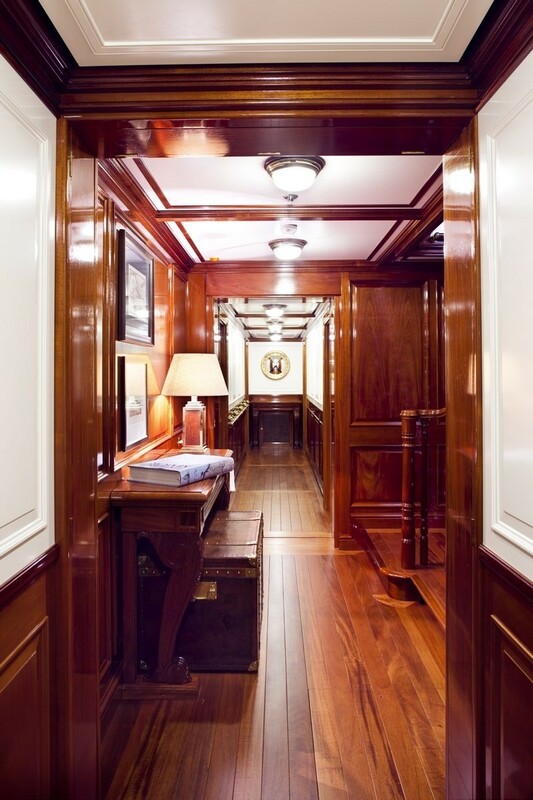 Cuban Mahogany wood and Dutch Marble are used throughout. 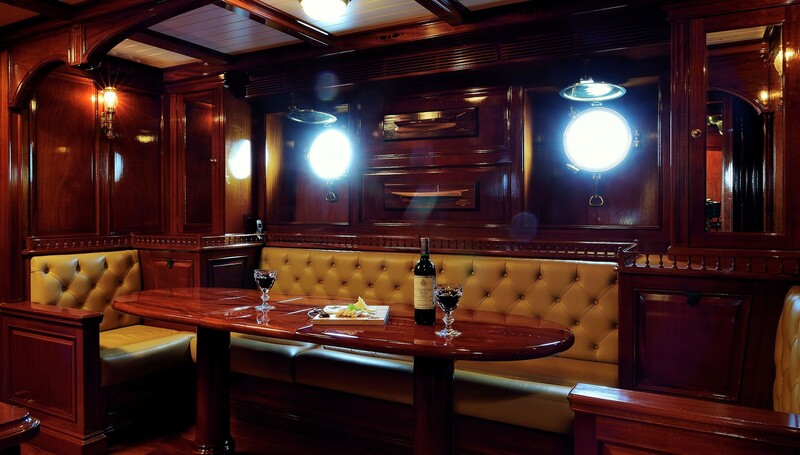 The main salon has a fully equipped Gentlemen's bar that can be transformed into a Cinema room. 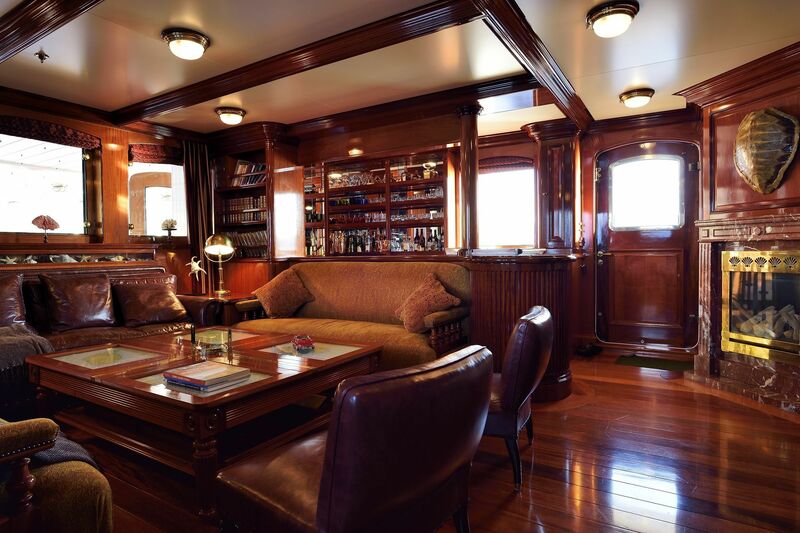 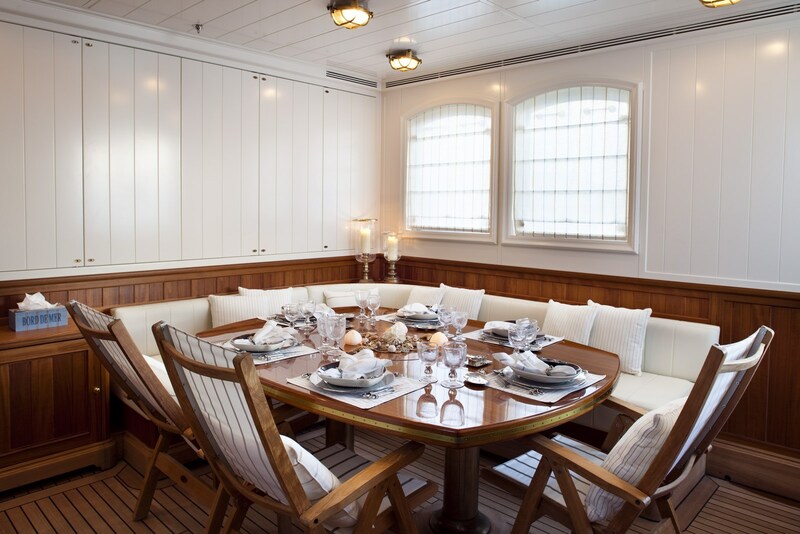 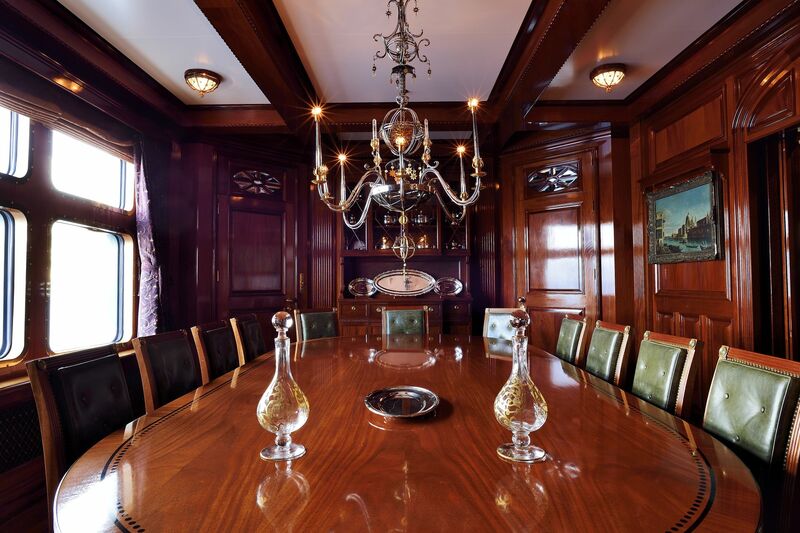 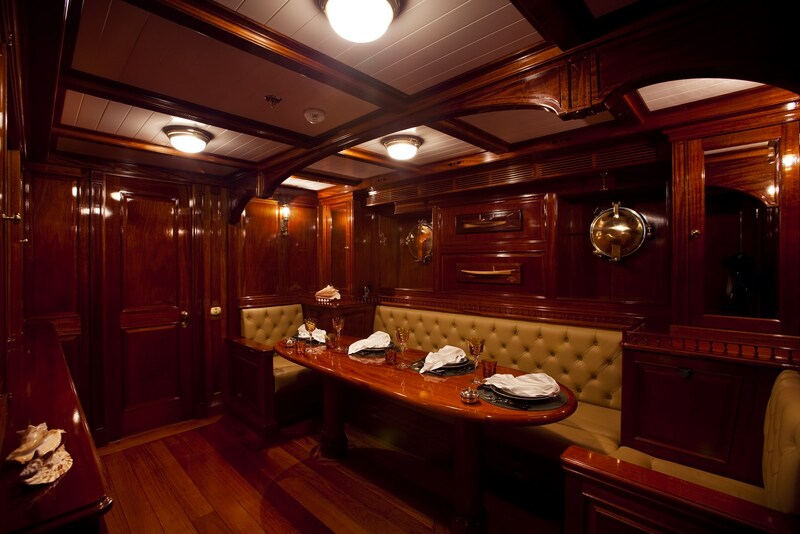 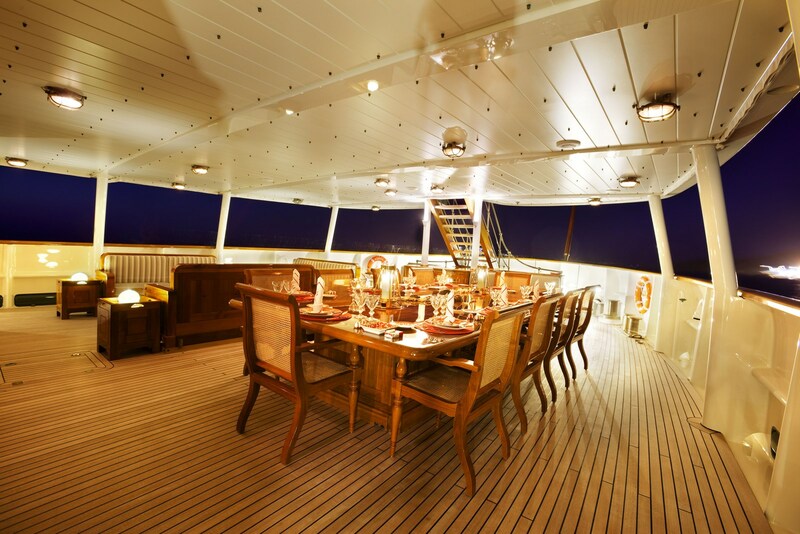 There are multiple dining areas, one on the main deck with high ceilings and an opulent chandelier, the other on the upper deck with a pantry. 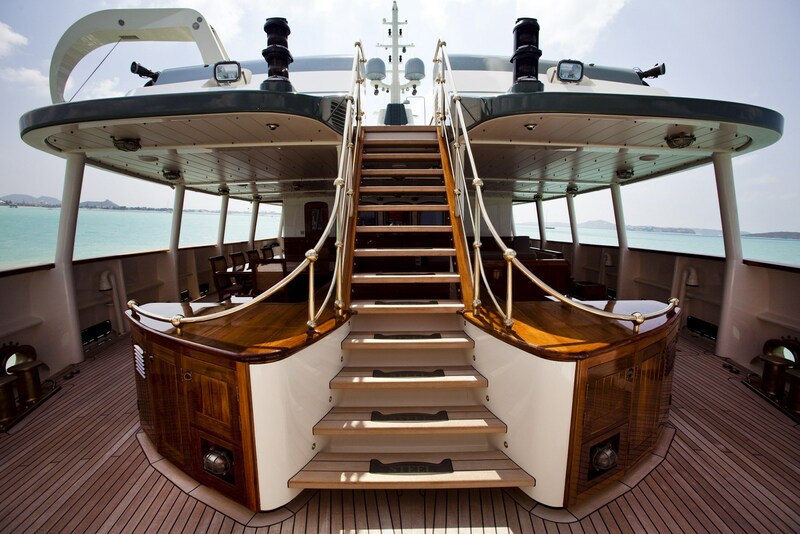 A functional work deck is located forward, and is ideal for jet ski storage. 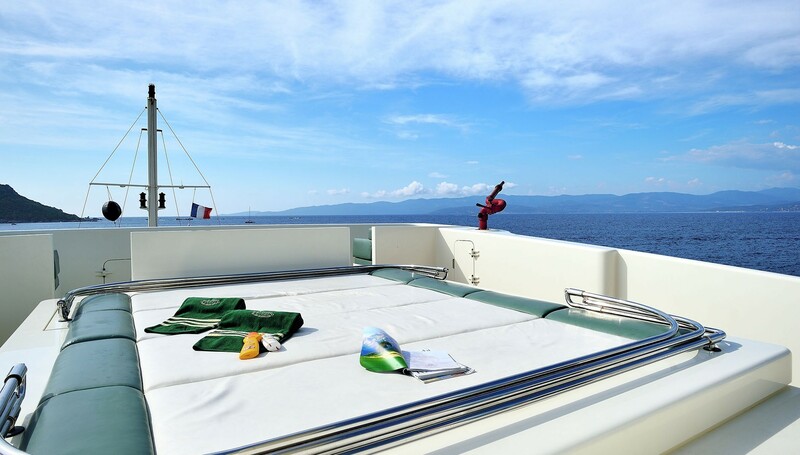 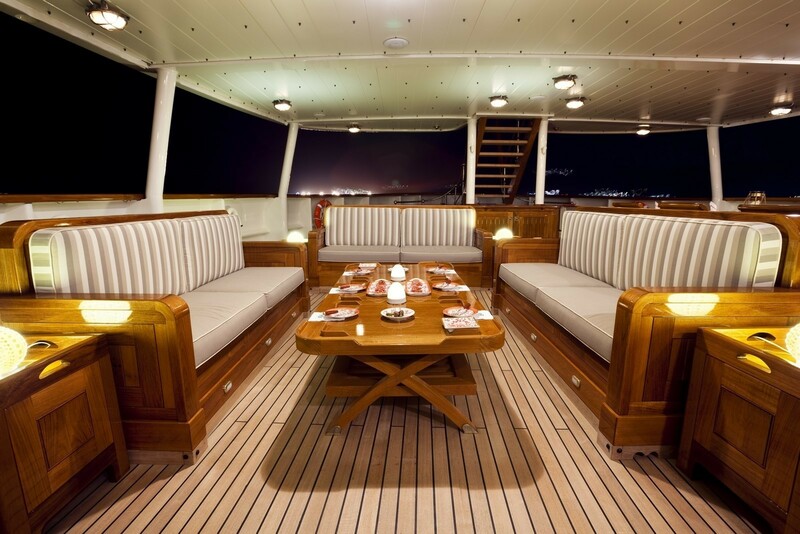 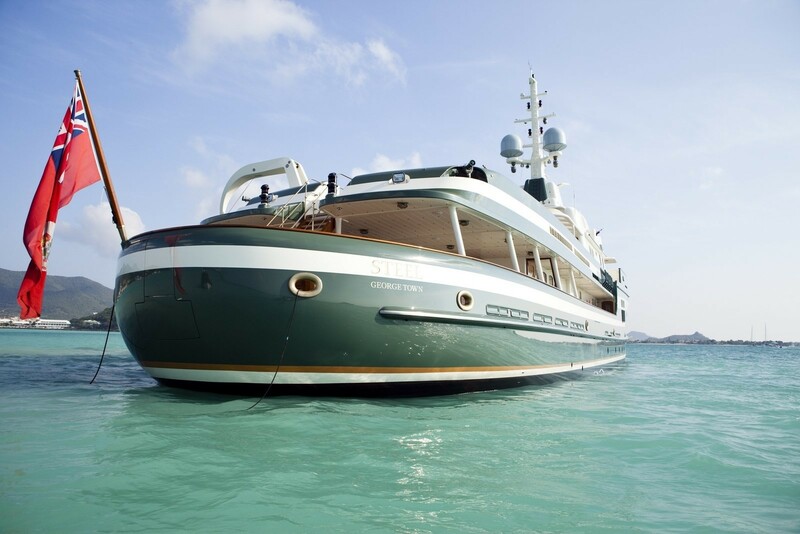 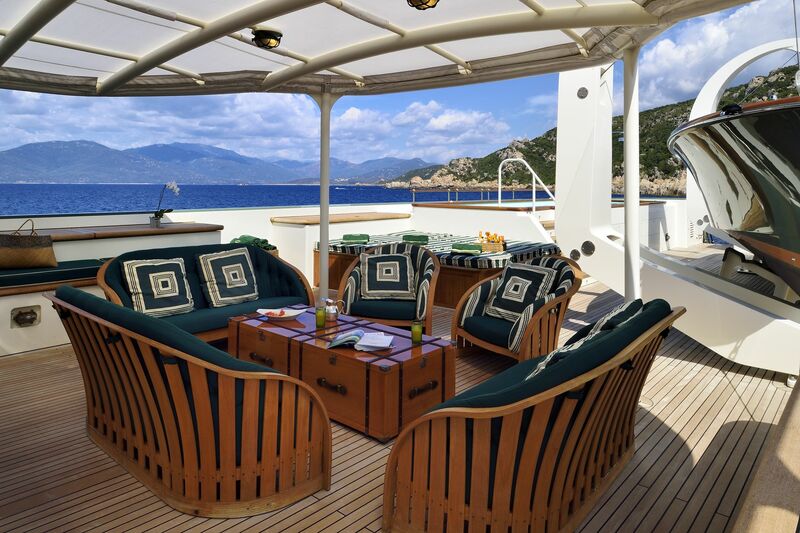 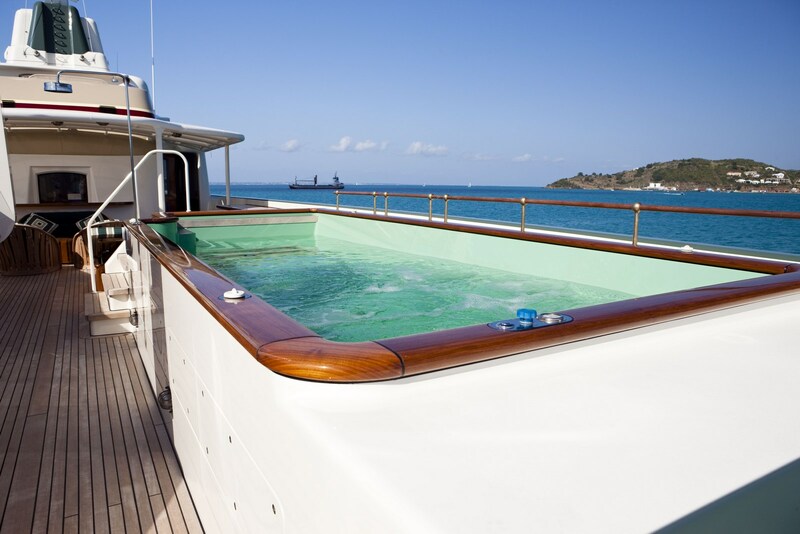 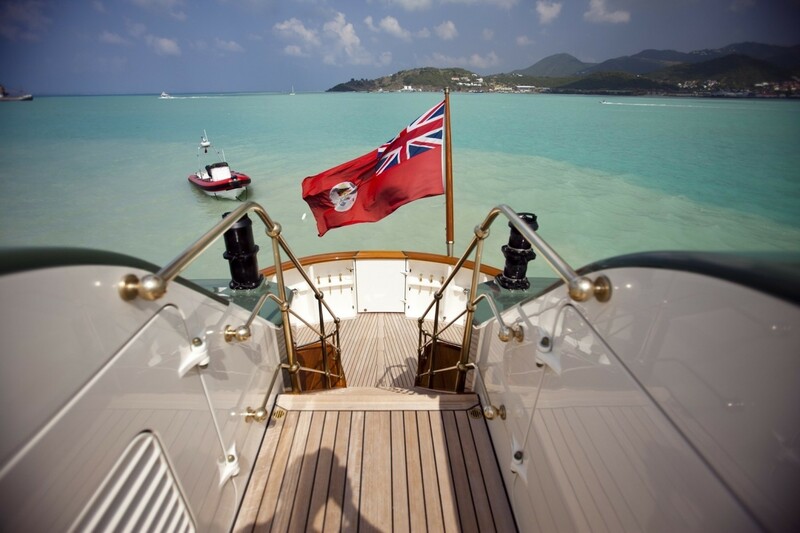 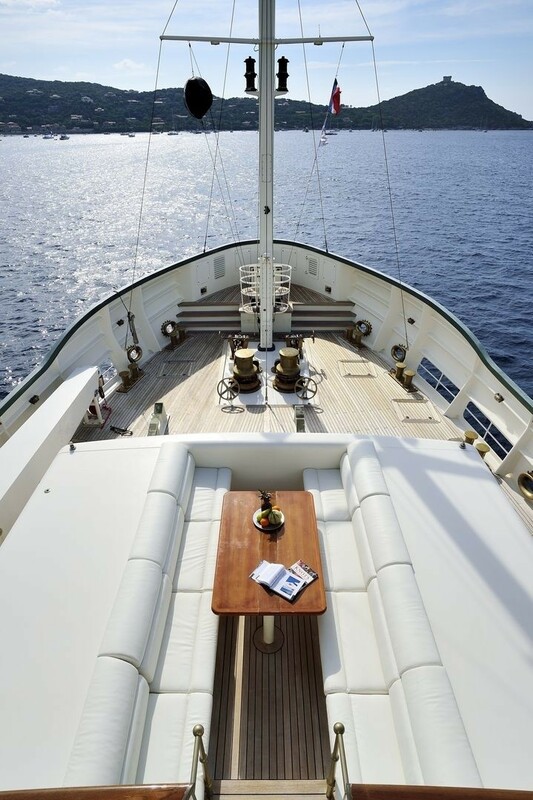 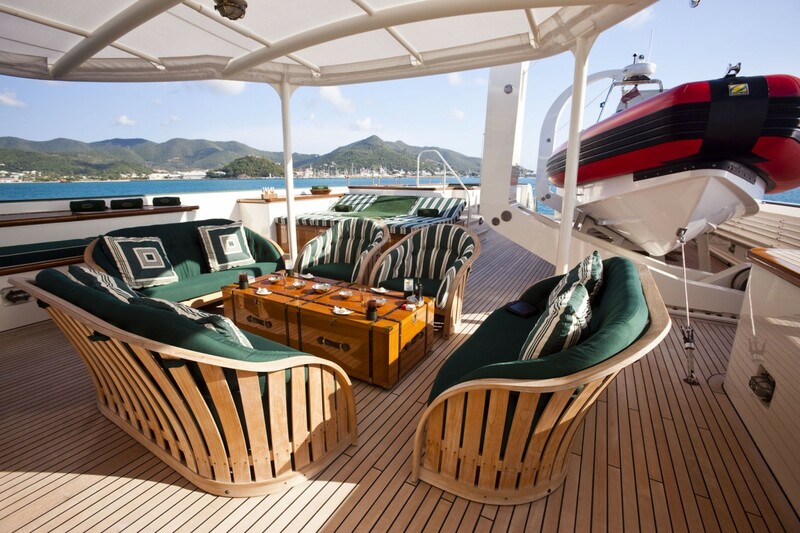 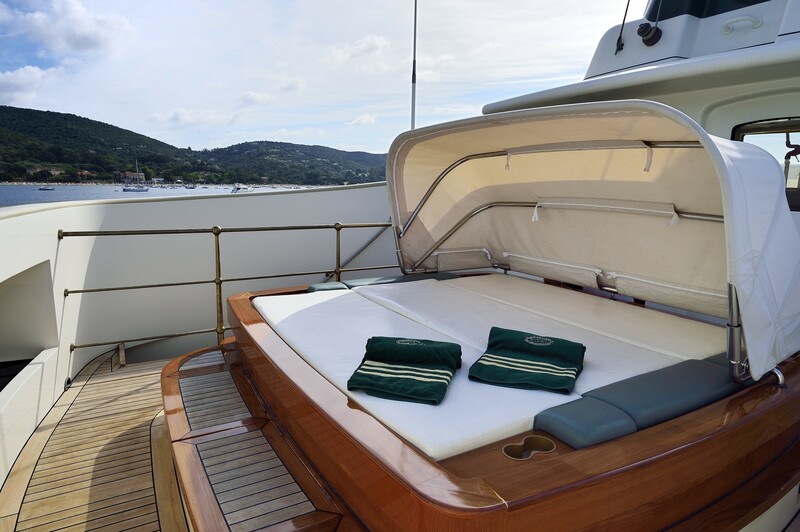 Guests will enjoy lounging on one of the multiple sun decks, be it to read a book or enjoy cocktails under the sun. 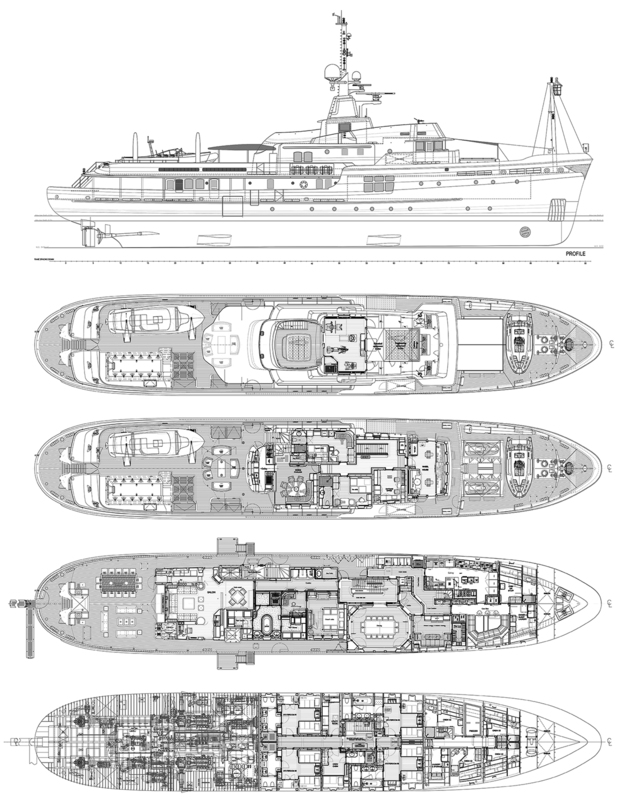 The rounded stern underbody is ideal for ship stability. 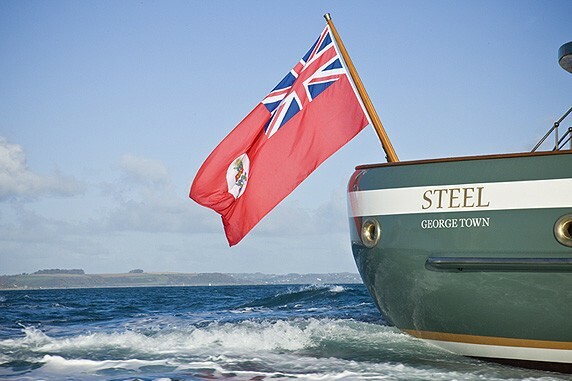 Built to Lloyds standards, with a steel hull and aluminium superstructure, STEEL cruises at speeds of 12 knots with top speeds of 15 knots. 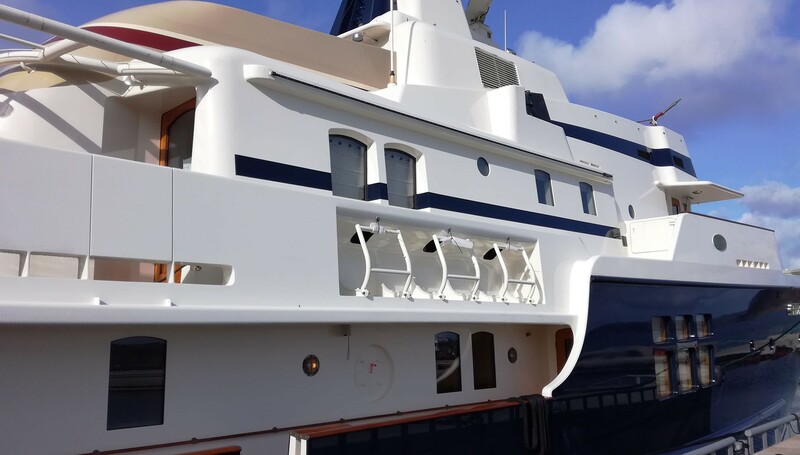 STEEL underwent a refit in 2017 that included total repaint. 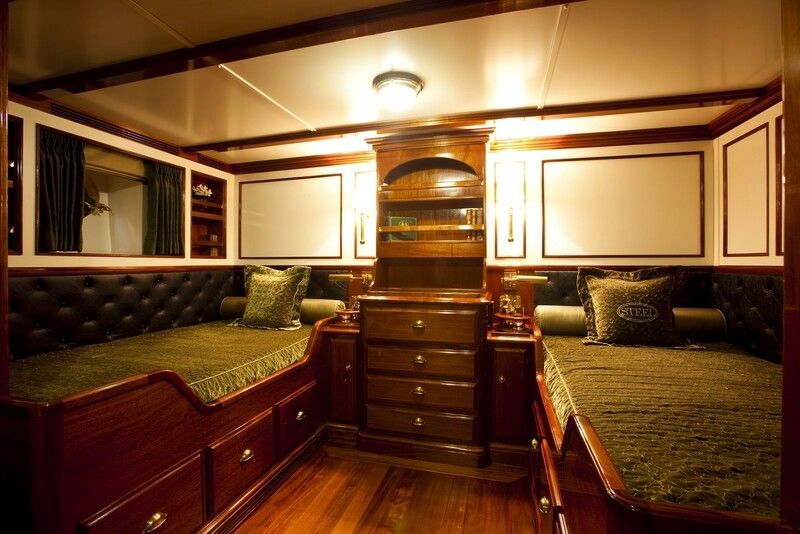 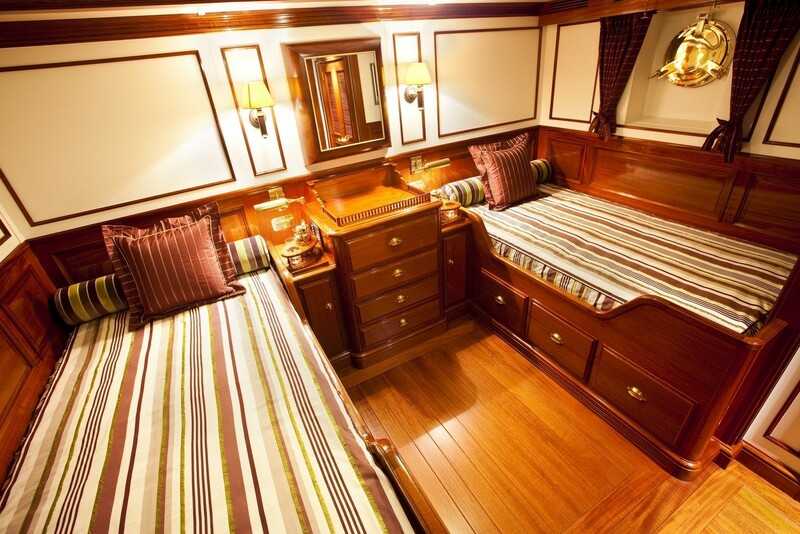 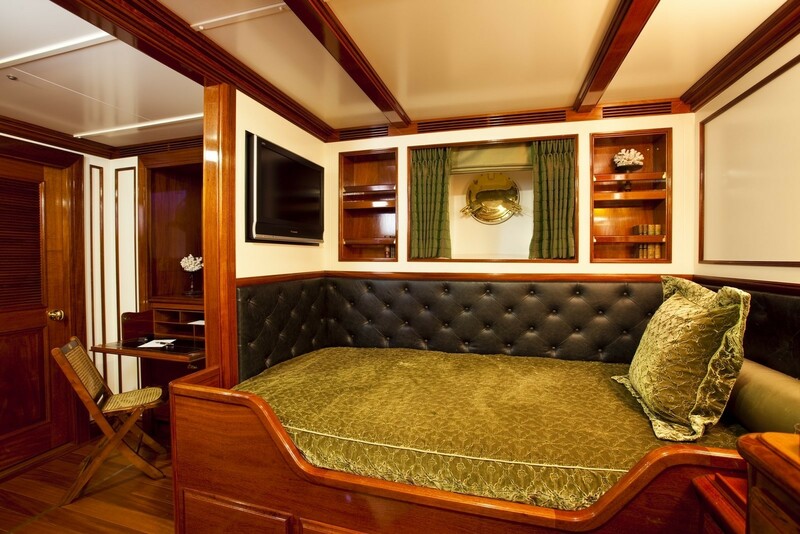 A Master stateroom with queen double bed is found on the main deck. 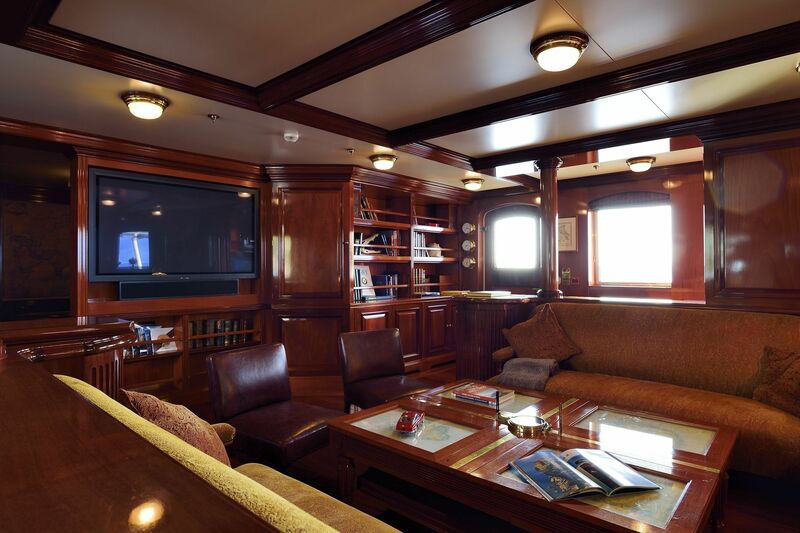 Separate owners lounge with TV. 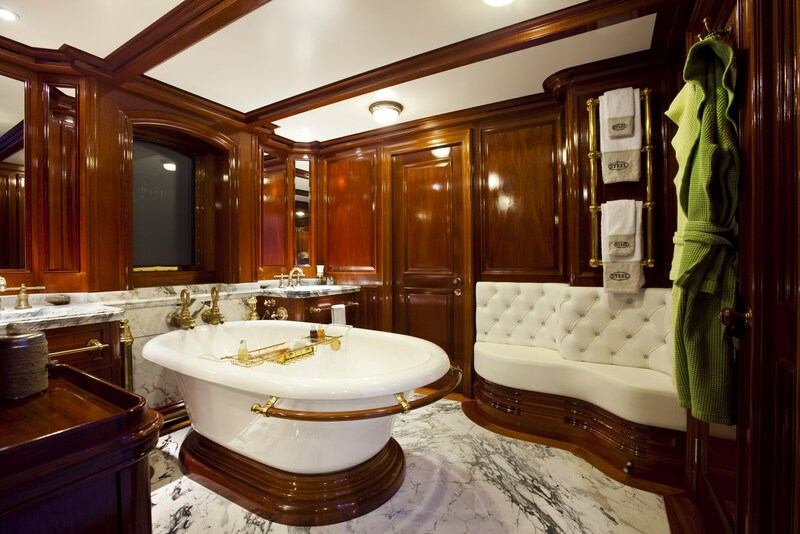 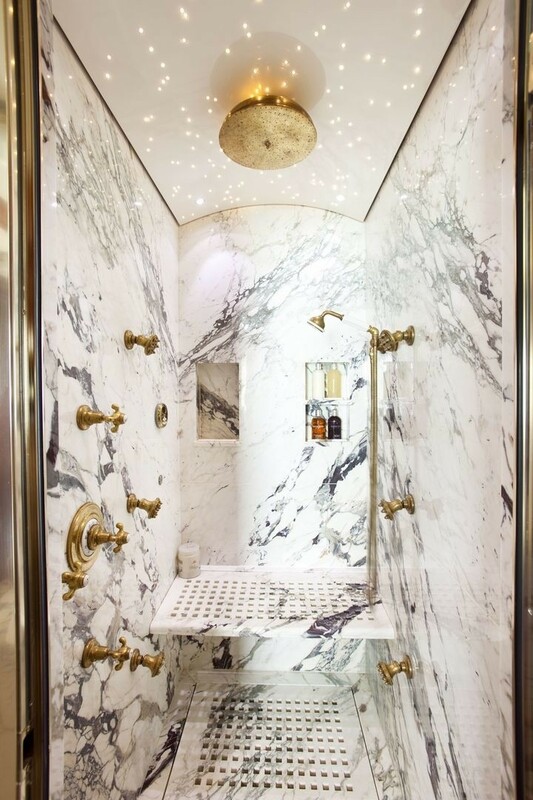 Large bathroom with bath tub and separate steam shower. 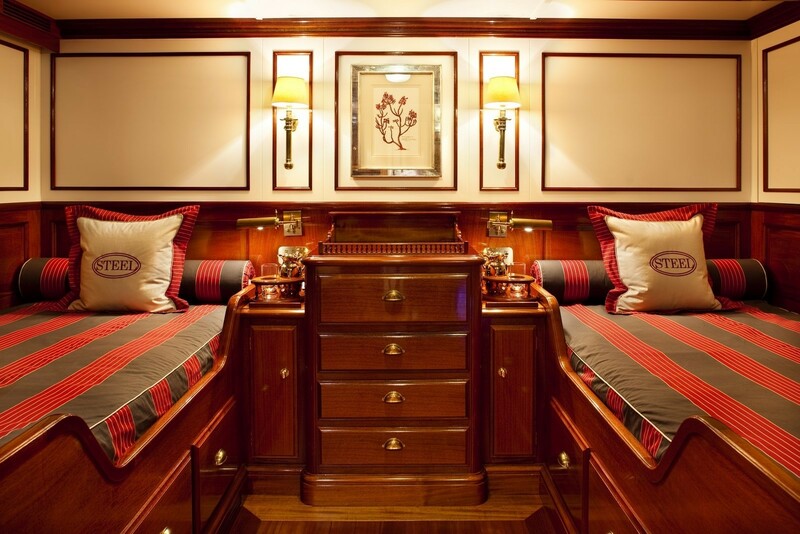 His and Hers dressing rooms. 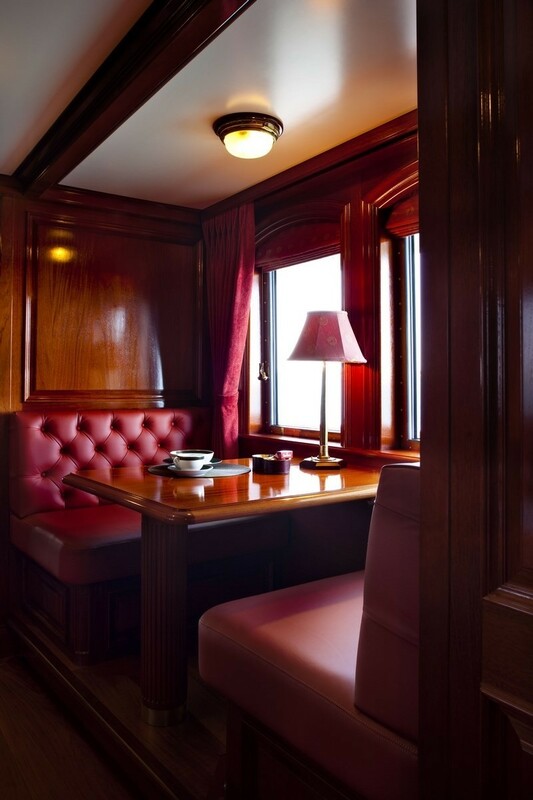 A double guest cabin comprises an additional pullman. 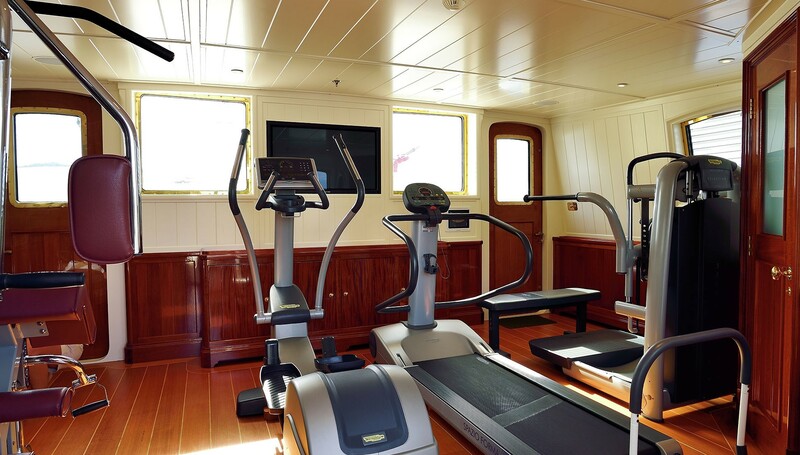 It is found on the boat deck. 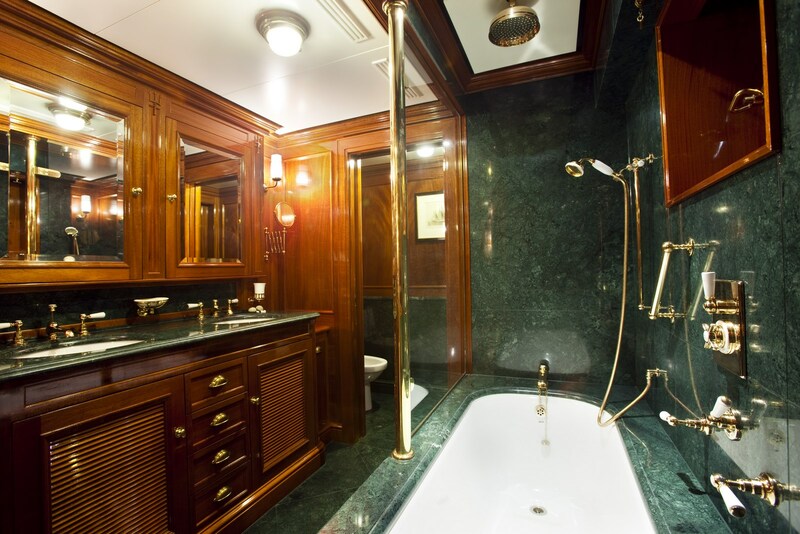 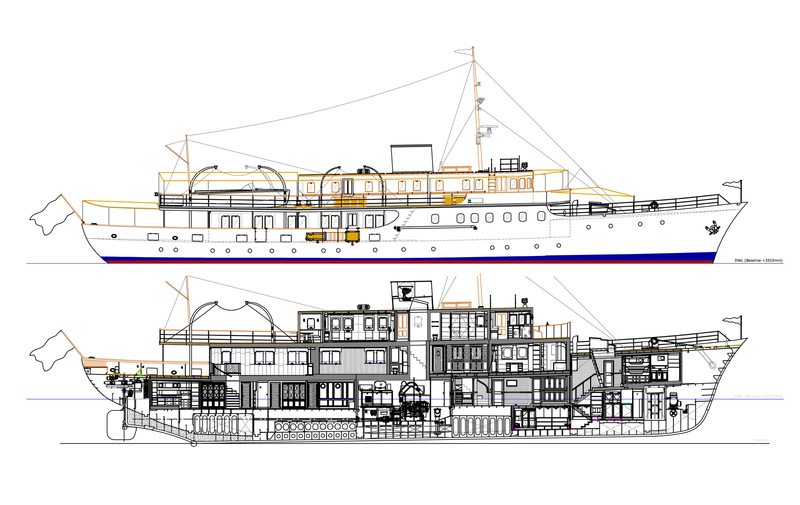 2 x twin cabins aft, with additional pullman berth each and showers as well as 2 x twin cabins forward, with additional pullman berth each and bath / showers are on the lower deck. 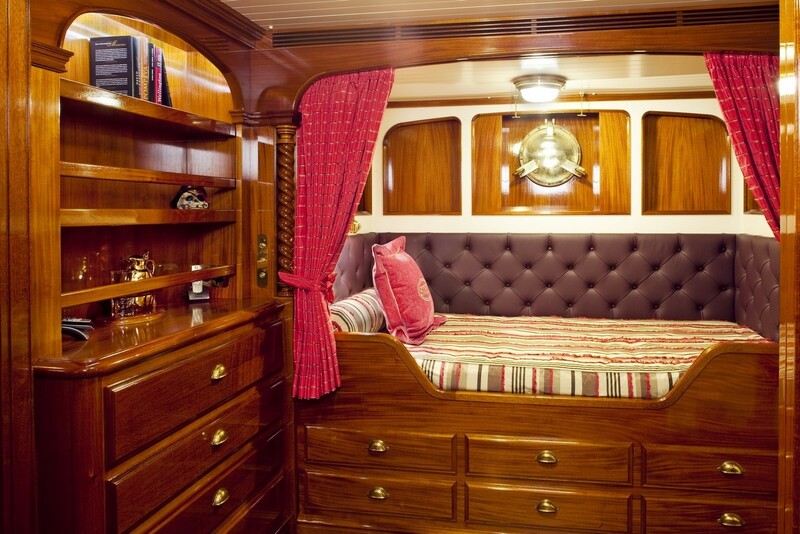 1 x single cabin with additional pull out bed and shower is ideal for a further Nanny/children's cabin.